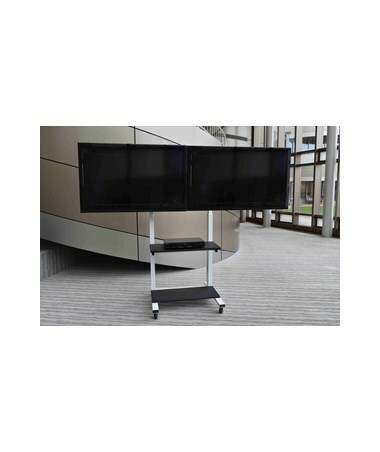 Adjustable height of 50.5" to 66.25"
The Luxor Crank Adjustable Flat Panel TV Cart is stylish and sturdy furniture that securely holds LCD TVs for home and office applications and presentations. 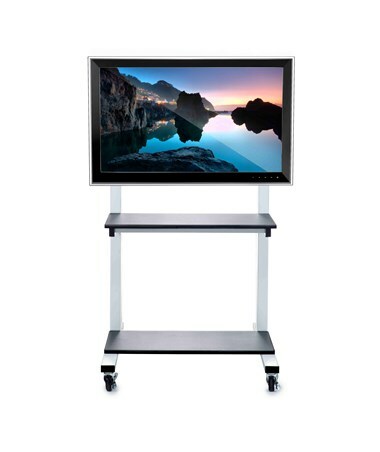 It can hold 32 to 80-inch LCD TVs and features an adjustable height of 50.5 to 66.25 inches and viewing angle of up to 15 degrees. Adjustments are effortlessly done with the crank handle. 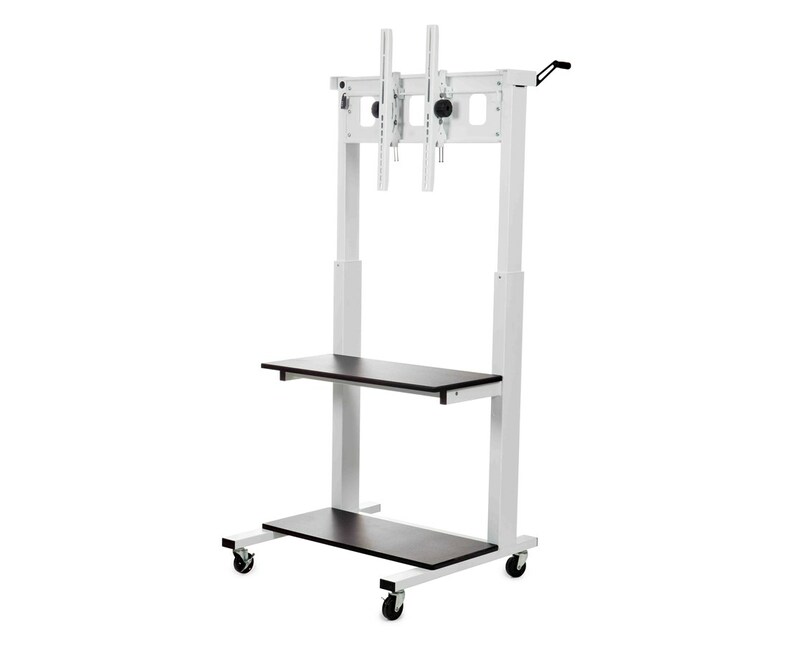 Two fixed shelves are also included for added storage and four 3-inch casters, two with locks, provide easy transport. 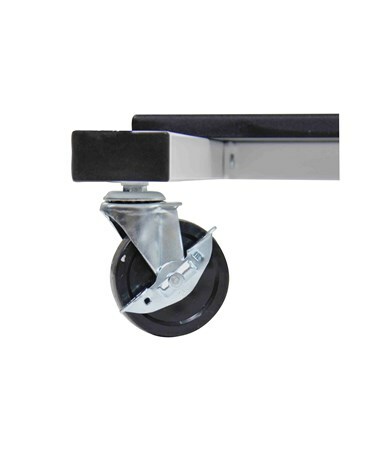 A weight capacity of 75 lbs per shelf and 120 lbs maximum TV weight, gives this cart a maximum total weight capacity of 270 lbs. 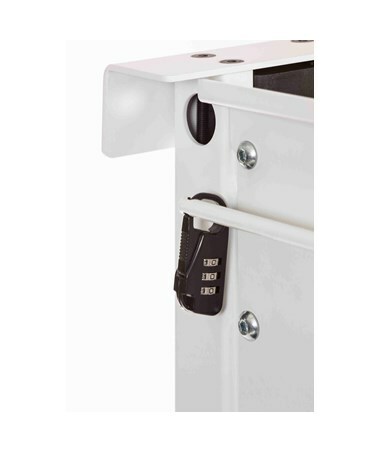 This unit also includes flat panel to mount hardware and a lock to protect it from theft. 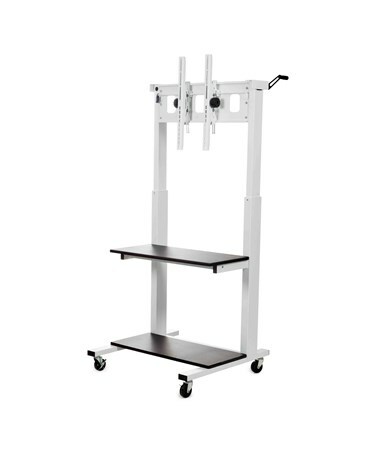 This adjustable TV cart’s frame is made of durable steel, whole its shelves are of medium-density fiberboard (MDF) with a melamine top. It requires some assembly with little effort. 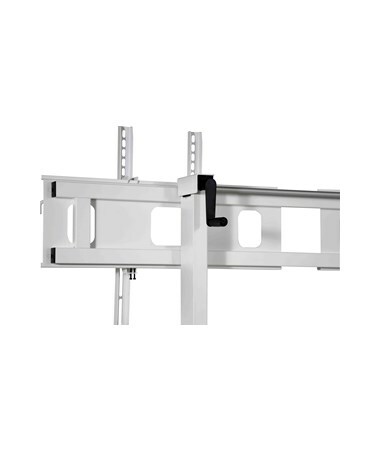 Adjustable Height 50.5" to 66.25"